I'd recommend it. 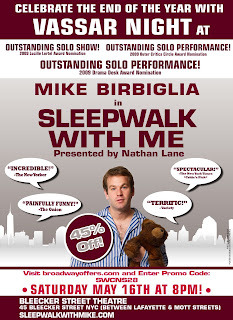 Mike Birbiglia is a very funny man. His style's a little under-developed, but he might be one of the most insightful comedians working. He's been on "This American Life" and "The Moth" a number of times. why not just get student standby tickets anytime?